12.11.2012 London, England. Serbias Novak Djokovic in action against Switzerlands Roger Federer during the Final of the Barclays ATP World Tour Finals at The O2 Arena. 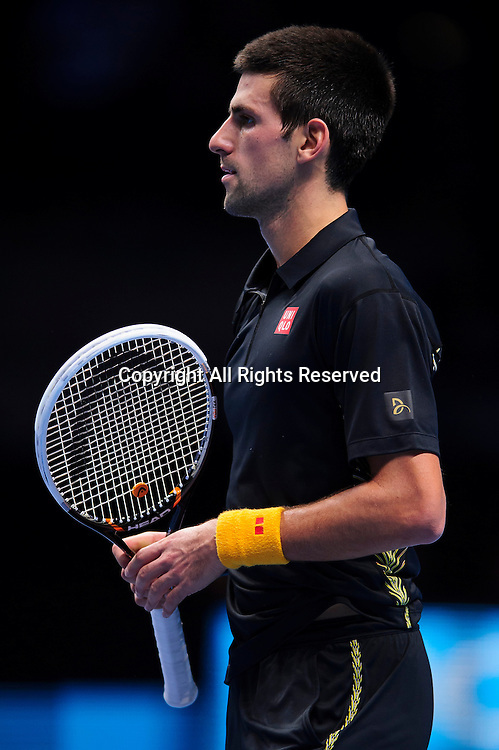 Djokovic goes on to win the match in straight sets.